Hello friends! It's Sunday and time for a new challenge at The Paper Players. The sweet and talented LeAnne is our hostess this week with a pretty color challenge in shades of purple. 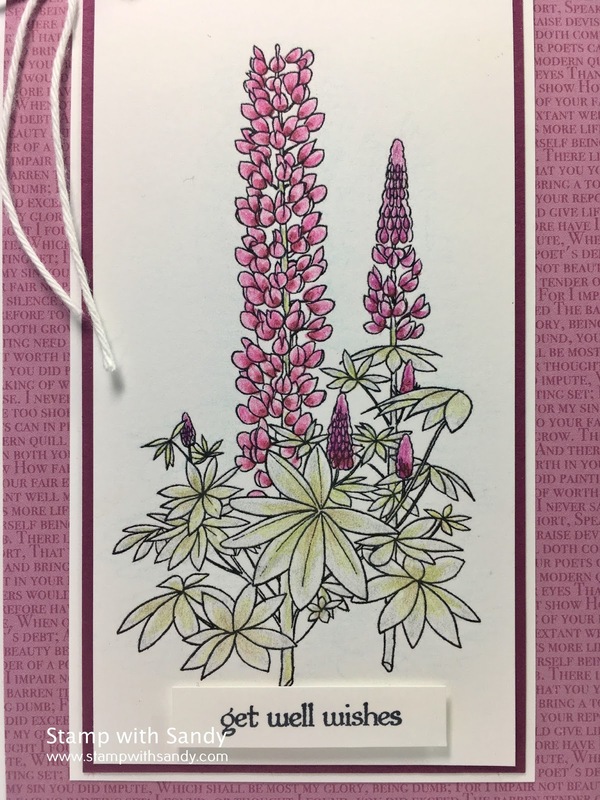 The colors made me think of lupines, so I went in search of a digital image and found this one. I colored it with my colored pencils, and used several different shades of purple though it's hard to see because the petals are so tiny! Thanks so much for stopping by! Please visit the rest of our Design Team at The Paper Players, and we hope you'll play along with our challenge this week, too! 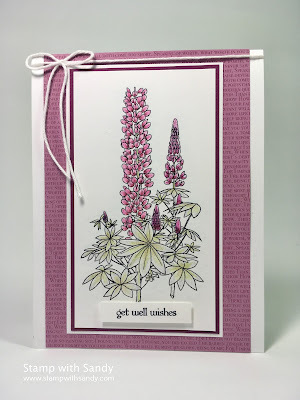 Oh these lupines are gorgeous, Sandy! You've colored them beautifully and I love the effect of your double matting. It looks just like a Victorian botanical print--so pretty! Good Morning Sandy! Great use of these colors and a gardening lesson for me too. I love them very much. Such a perfect stamp for the Colors in the challenge Sandy! I love it! Have a great day! Beautiful card, Sandy! Love the colors! 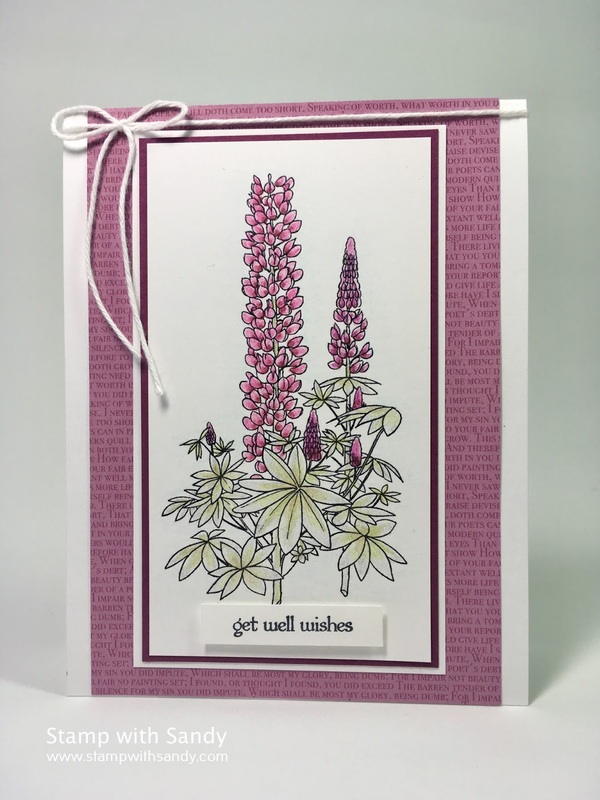 This is the SWEETest thing...love those lupines! You've colored them perfectly, they look lovely in these shades! Thanks for rocking my colors! Sandy this is gorgeous and so beautifully coloured! 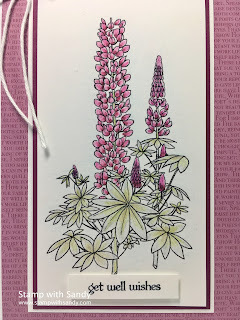 Lupin are perfect for these colours - I was thinking floxgloves too, although I don't have a foxglove stamp and it didn't occur to me to go digital! Lovely colouring and a pretty image. The twine bow was a great addition too. Such a pretty flower digi - gorgeous colouring Sandy! Your lupines are colored so beautifully. Gorgeous card!